I have some exciting news coming soon and it requires a clean desk for me so I'm going through some more polishes that are sitting around, waiting to be worn and written about. Today is one that has been here for over 6 months, partially because I've been giving it the side eye. 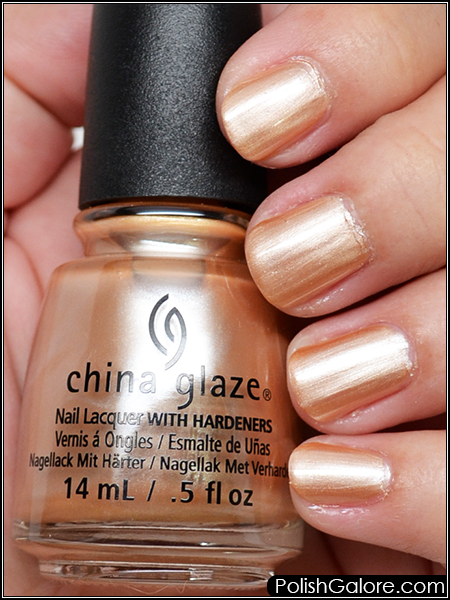 This is China Glaze Toast It Up from the Glam Finale collection. I used a base coat of Morgan Taylor ReactMAX Optical Brightener, 2 coats of polish and finished with Glisten & Glow top coat. The formula was runny but manageable when I wiped the neck of my brush well. China Glaze says it's a gold champagne shimmer but I'm calling it a pearl. Not my cup of tea. While it did fully cover in 2 coats, it's way too close to my skin tone and the pearl finish is not my favorite. Maybe it would be a good base for some holly nail art come the holidays but I'm happy to file it on the shelf for now. 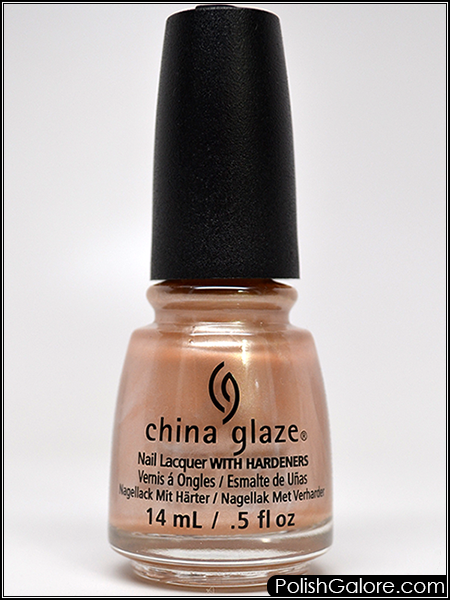 China Glaze [Website] [Facebook] [Twitter] [Instagram] can be found online through several etailers, including my favorite Head2Toe Beauty, Sally's Beauty Supply as well as TransDesign.